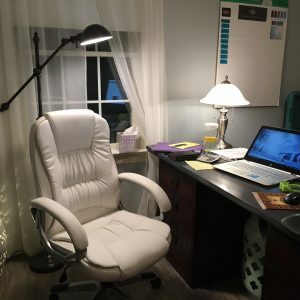 90 Day Challenge: Day 4 | Kay Rice, M.Ed. Day 4 of my challenge and I’m hardly feeling deprived! I had my coffee with Nutpods original flavor today. I’d mentioned trying it before and someone sent me a comment asking for more information—so I wrote a product review. 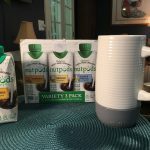 If you are interested you can read my Nutpods Product Review. While I was writing the review, it made me crave another cup, so since it was still before noon, I used the opportunity to try the Hazelnut Flavored Nutpods, which I liked, too. It has a delicious sweet aroma! I’m trying out a lot of new food options and condiments and sharing them with you. Just so you know, if you click on a link in one of my posts, I may have an affiliate relationship with that product or provider. That means I may make a small commission if you decide to purchase. I’m doing my best to research multiple sources for products and provide information on where to get the best price. In doing so, I’ve found better prices than what I originally paid for my own purchases! Of course you don’t have to purchase any of them. My reviews are authentic, and I’ll let you know even if I DON’T like something. 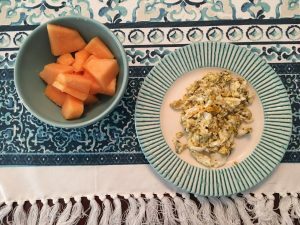 Scrambled egg with 1 whole egg and 3 additional egg whites and a seasoned with oregano, with a side of fresh cantaloupe. Someone turned me on to adding oregano to my scrambled eggs several years ago. It’s delicious! Try it and see if you like it, too. I like the variety. This is why it is important to have a back-up plan and an EFK (Emergency Foods Kit). Time went by so fast this morning that before I knew it, it was time to eat AND it was time to jump on a call AND I suddenly realized I was hungry AND I didn’t even have five minutes to go fix anything to eat, much less eat it. So, I went to my pantry stash of EFK items and grabbed this RX Bar and ate it while I was signing on for my call. Had I waited until after the call, I’d have been hungry the entire hour, and not as focused either. Furthermore, I’d have been over hungry in an hour, and what happens when you get over hungry? 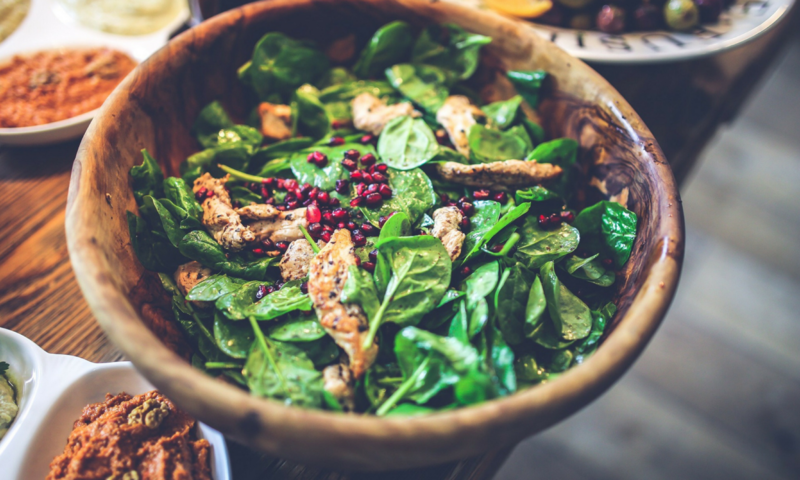 Well a regular portioned sized meal doesn’t satisfy as easily and that’s when I (and most everybody) tend to over-eat—and then feel stuffed—and sometimes guilty. That’s why it is important to plan and prepare for moments like this, so you can stay on track and have something to reach for without thinking! I got this RX Bar at Trader Joe’s “just to try out”. I’ll be getting more! 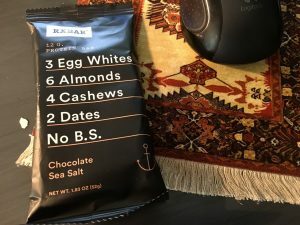 I found out they are available at Barefoot Provisions, ($2.99 each) and on Amazon you can order the Rx Bars Real Protein Bars Chocolate Variety Pack of 12 for $26.95 (or $2.25/ea). Between calls I had some errands to run. I went to the PO to pick up some new keys for my PO Box, then to the local grocery store that has a garden center and asked them about the “blossom rot” my tomato plant has.It’s a fungus that makes the bottom of the tomatoes turn black & rot as they ripen. I purchased a natural spray they recommended. Then I went back to Twin Springs Farm, which is “just down the road” and picked up five dozen eggs and some fresh tomatoes. 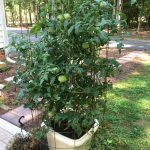 When Tracy and I walked out to the garden to pick some tomatoes I mentioned the “blossom rot” on my tomato plant and the spray I’d just purchased. Tracy told me that I didn’t need that spray, that what I need is calcium. Calcium? Yes, she said, “just pour some milk around the plant.” Wow, a truly “natural” remedy, and very inexpensive. As her husband crated my eggs a mosquito landed on her husband’s leg. She watched him smack it and commented, “Well, it’s going to rain tonight.” Hmmm … how did she know? She was right! These folks out here in the country know a thing or two worth knowing about! I listen to them! Again, I was in a rush, and only had a little time before jumping on a 4:00 call. So I reached in the fridge and grabbed one of those chicken breasts and some of the whipped sweet potatoes I cooked extra of yesterday. I added the left-over mixed broccoli/cauliflower & carrots. 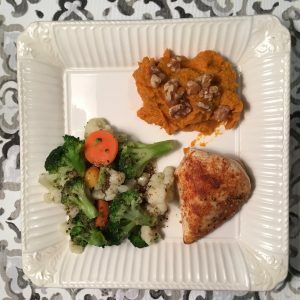 So far, I had no fat in this meal—and remember—you want to have some of each of the three macro-nutrients at each meal. The chicken is protein, the veggies are carbohydrates, and now I needed to add just a little fat to make it complete. 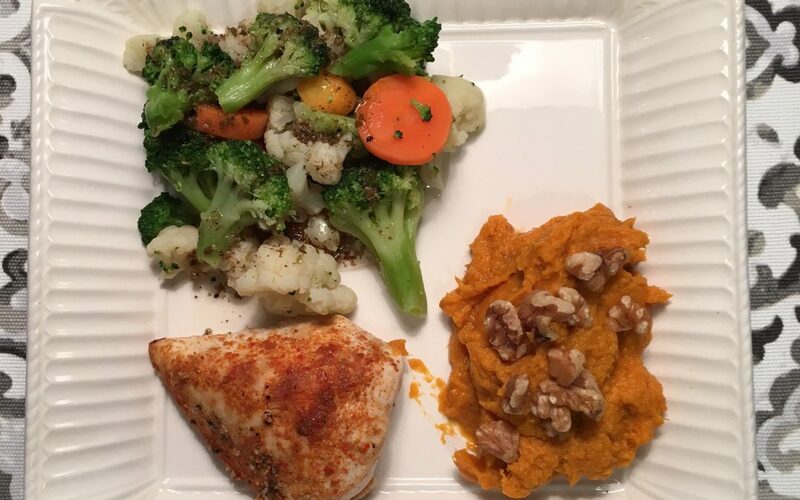 So I topped the sweet potatoes with just a few chopped walnuts, and I drizzled a little bit of Primal Kitchen’s Greek Dressing over the broccoli/cauliflower/carrot mixture. BAM! Done in under 3 minutes! After I’d eaten and while I was waiting to jump on this call I prepared a Frittata loaded with veggies. This made 4 servings. I popped it in the oven and it was ready in 40 minutes. I love this dish at any time of the day. 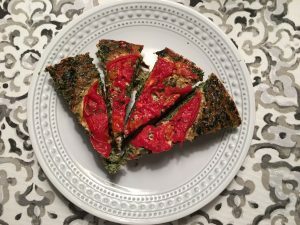 Here’s my Vegetable Frittata Recipe the way I made it today. No surprise, I had a serving of the Frittata I made. It was filling and delicious. When I finished I individually wrapped the remaining three servings and refrigerated them for later. Don’t be surprised if you see one of those for breakfast in the morning. Remember, I said they are great for any time of the day. 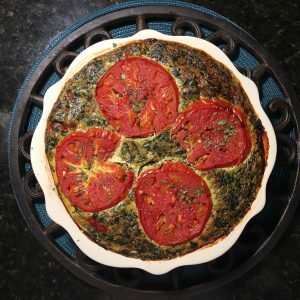 The way I made the frittata, it contains plenty of all three macro-nutrients (protein, carbohydrate & fat) and I don’t need to add anything else for a complete meal. 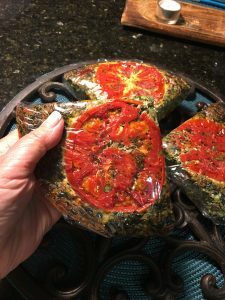 After dinner I wrapped up the remaining servings of fritatta in plastic wrap and refrigerated them for later. Don’t be surprised if you see one of these for my breakfast in the morning! I have great news!! Prednisone has taken the inflammation down in both my knees and my wrists, even though it has some side effects that I prefer not to have. Today was the FIRST day I walked without a knee brace since I injured my knee 10 days ago. Even though it felt much better, I followed the advice of Audrey, my acupuncturist, who suggested that I not push it to the limit when it started to heal. I’m giving it time, even though I realize I won’t drop fat quite as quickly without exercise. I realize, this isn’t a race and I need to listen to my body and pay attention to its messages. My body is processing and recovering from a lot of trauma (yes, major stress can have the same physiological responses as trauma), and I won’t turn it around in a week. But I know I’m heading in the right direction, and that is what counts. I’ll add more exercise back in as soon as I can—but not too soon. Probably by next week. Thanks to the anti-inflammatory effect of the Prednisone, and in spite of the fact that sometimes this steroid will keep me up 24/7, I had the first good night’s sleep I’ve had since my knee injury. You recall, sleep is a very important component. You wouldn’t expect your cell phone to make it through the day if you didn’t fully recharge it’s battery at night, right? Same for us humans. When our goal is to change our weight, drop fat, boost our metabolism, and meet the day fully rested, sleep is crucial. So how are you sleeping? Do you know your “sleep number”? How many hours a night do you need to sleep to wake up in the morning fully rested? Please leave any comments or questions you have below, or feel free to share your challenges, your strategies and your ideas!